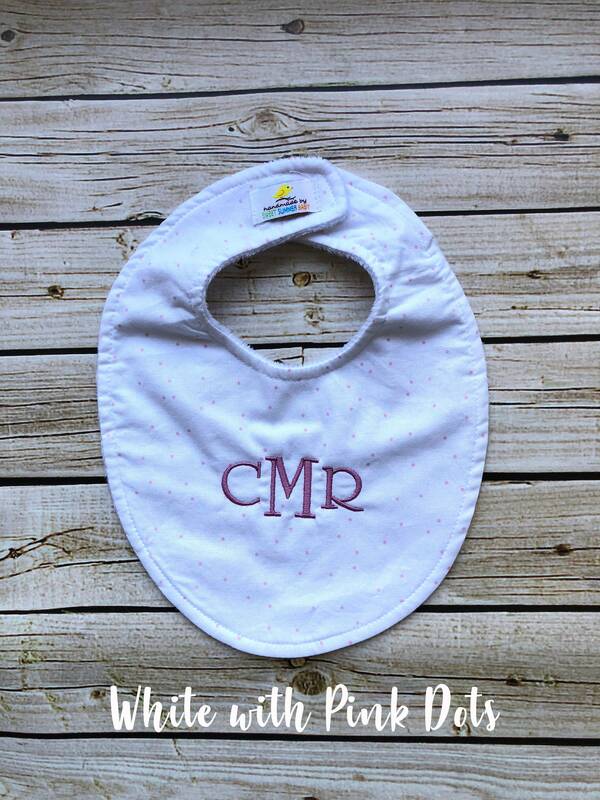 Perfect gift for any new baby! 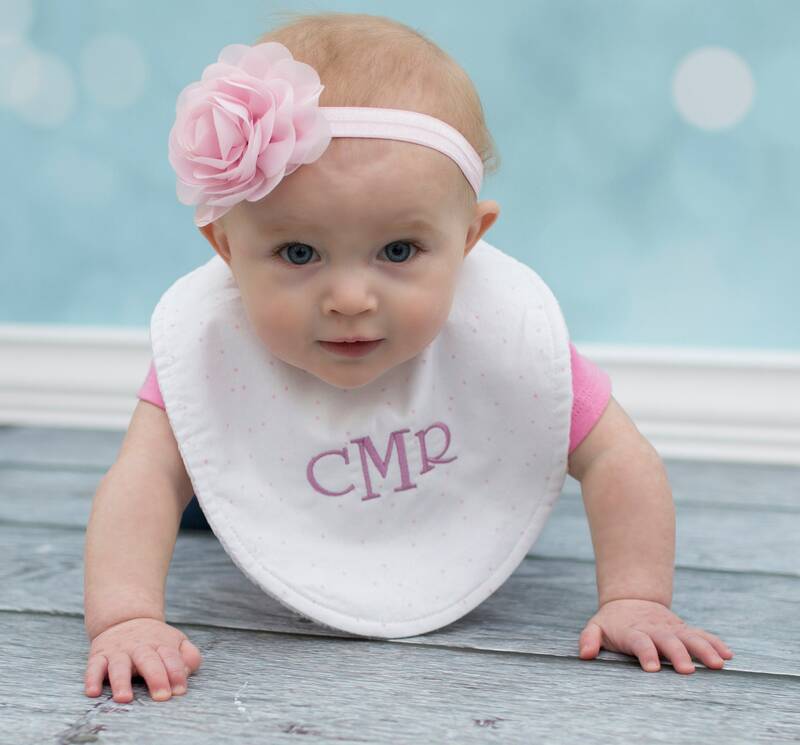 These bibs are the best - they're super-soft, lightweight, absorbent, and adorable! 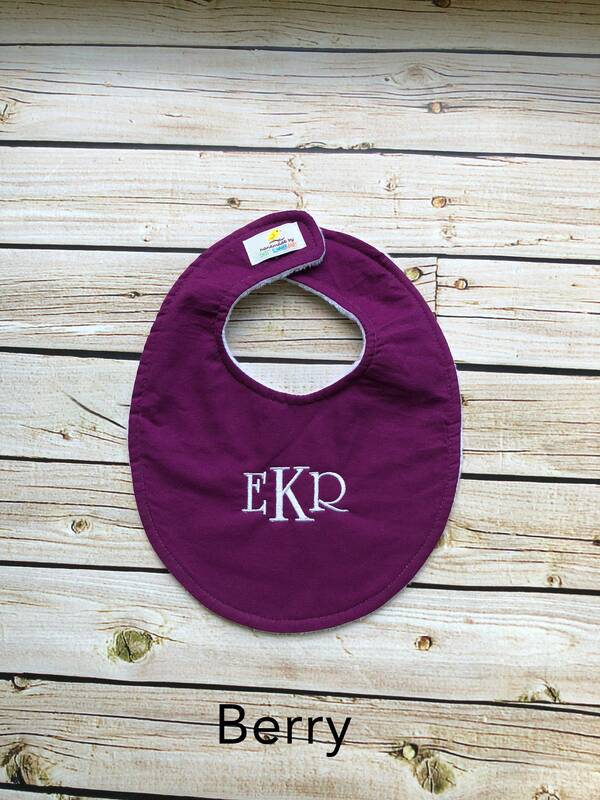 Each handmade bib has a cotton front and snuggly minky velour backing with a Velcro fastener on the convenient back closure. 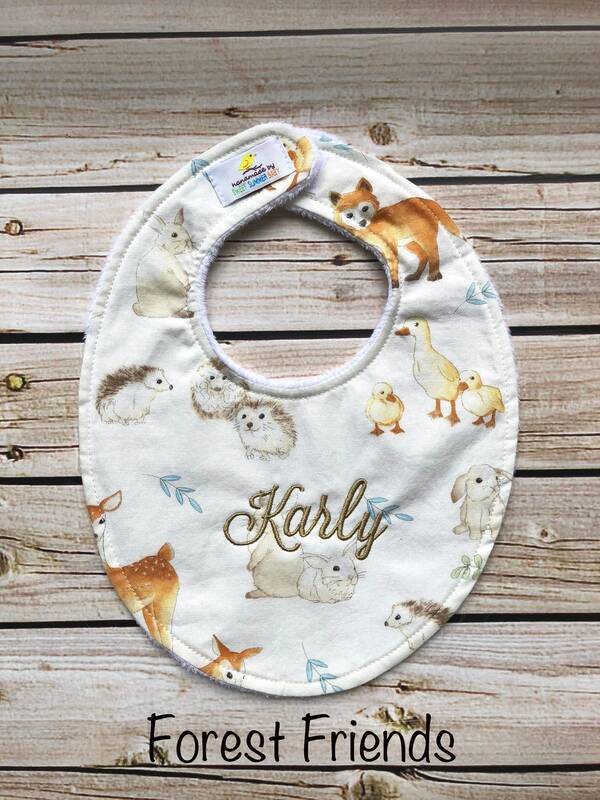 Listing is for one (1) bib. 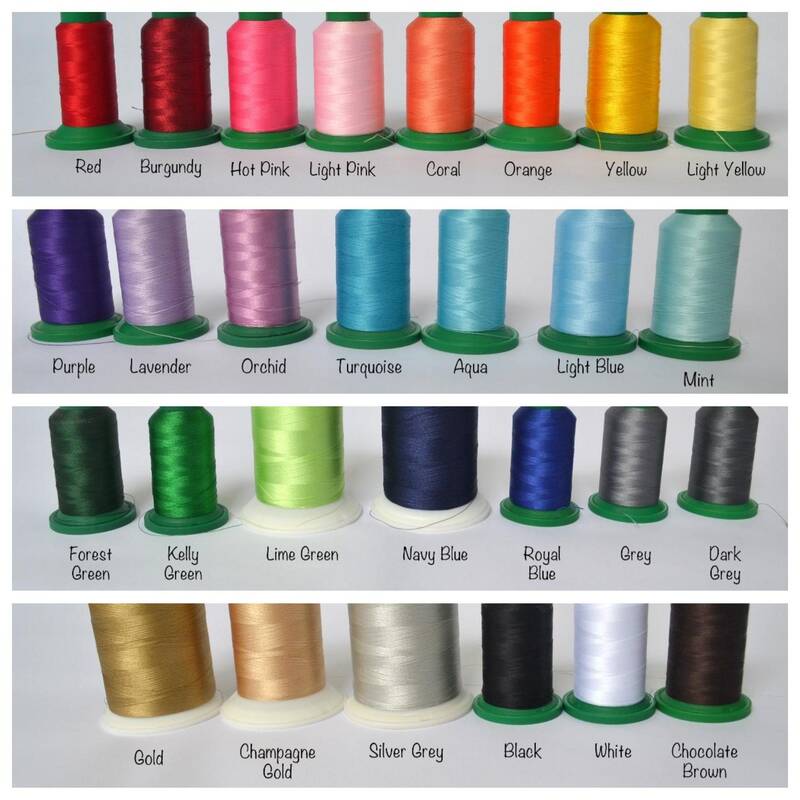 Choose embroidery option at checkout. 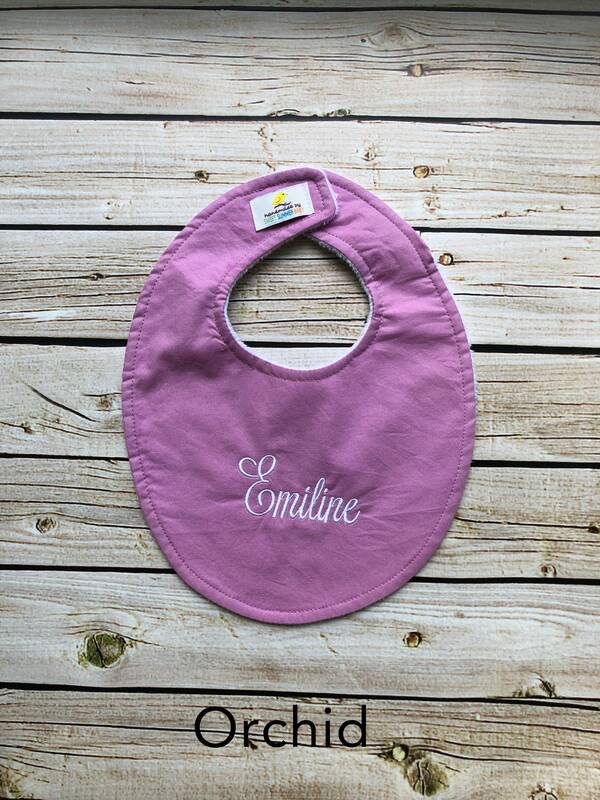 Bib measures 12" x 9"
Machine wash warm, tumble dry. If you are ordering from outside the US, please note that you may be responsible for additional customs fees or duties once your items arrive in your country. Payment is expected within 24 hours of placing your order. Paypal and credit card payment are the preferred payment methods of Sweet Summer Baby. Sweet Summer Baby ships via US Mail First Class. If you are ordering from outside the US, please note that you may be responsible for additional customs fees or duties once your items arrive in your country. Items will not ship until after the payment clears. If there is a problem with your product or if it does not arrive in a reasonable time, please contact Sweet Summer Baby immediately. 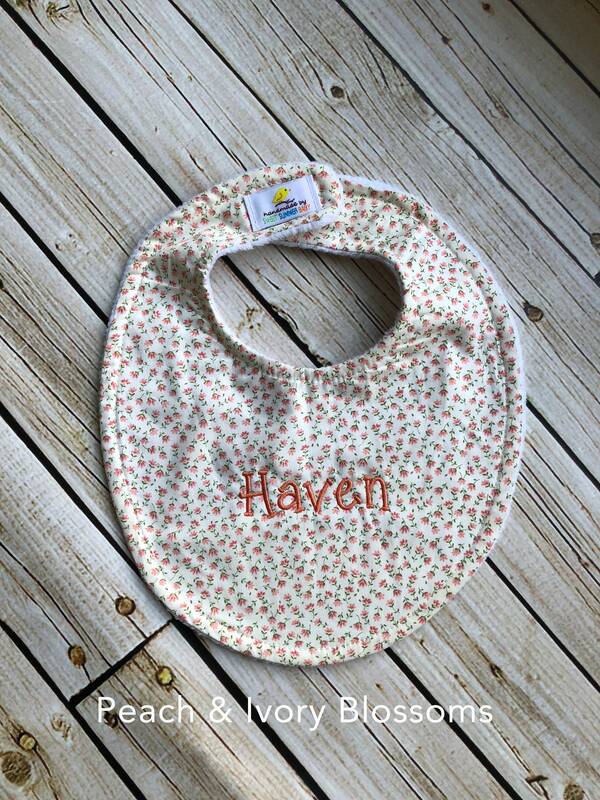 Each item from Sweet Summer Baby is completely handmade, so no two items will be exactly alike. While I take great care to create each item, some parts may become loose with wear. Please supervise the use of any item from Sweet Summer Baby by children under the age of 5.